Today’s guest article is a must read article for all. It is an excellent guide on how to change your negative thought patterns and overcome negative thinking. 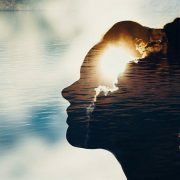 In this guide you will find 10 timeless techniques to help you stop negative thinking and adopt a positive and peaceful state of mind. This article is by Yachna Tyagi, who is simply a marvelous blogger and an expert yogi. She is a deeply spiritual person and is the author of Yachna Yoga, which is a wonderful resource for Yoga, Meditation and Pranayama. I highly recommend stopping by and checking out her site and teachings. Yachna is also a graduate of the Mastery of Yoga Instructor Training Program and if you would like more information on that program you can find that on the following website Online Yoga Teacher Training. If you would like to be a guest author on Mastery of Meditation and Yoga, please email me at anmol@anmolmehta.com. Thinking is a natural process. From the time we wake up till the time we go to bed, incessant thoughts robotically arise and subside in our mind without any respite. Majority of these thoughts are useless and negative. They deplete us of our energy and lead to stress, restlessness, anxiety, depression, mental fatigue and poor health. Occasional negative thoughts are normal, but when negative thoughts occur to the extent that they begin to affect physical and mental health and keep an individual from leading a normal healthy life, it should be considered a warning sign that needs to be addressed. Life changing stressful events can create negative thoughts that lead to fears, anxieties and depression. Depression in turn breeds more negative thoughts. Before you know it one is caught up in the vicious cycle of sickness and negative thoughts where one serves as fodder for the other. 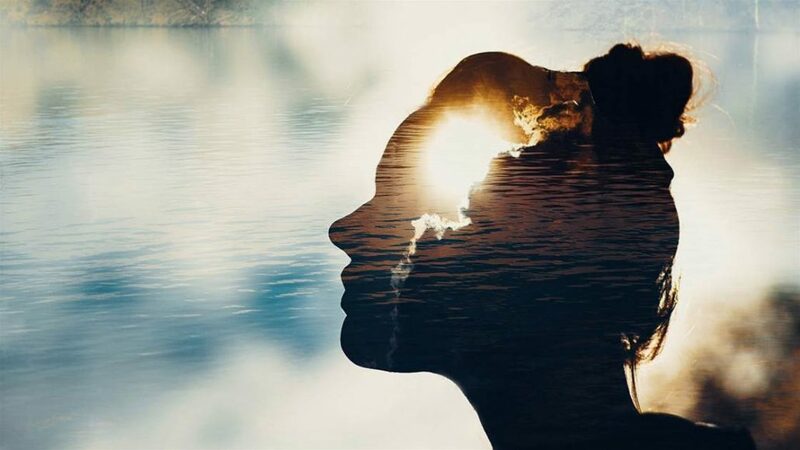 Repeated negative thoughts over time become habitual and soon negative thoughts just pop into the mind, without the need of any outside triggers. Such thoughts are termed automatic negative thoughts. Most often these thoughts are irrational and are based on assumption. They lack factual backing and objectivity. Such thinking is referred to as cognitive distortion. They cloud our judgment, mislead us into doing regrettable actions and delude us into viewing things in a negative light. Repetitive negative thoughts disturb the natural flow of Prana in our body. This results in energy blockages and imbalances. Wherever there is an energy blockage, there is an accumulation of toxins and wherever there is an accumulation of toxins there is sickness and disease. Negative emotions and thoughts such as jealousy, anger, hatred, fear, and revenge damages the heart chakra and manifests as disease in the organs and tissues governed by the heart chakra, leading to immune system disorders, lung disorders, heart conditions, etc. Cultivating the opposite emotions of love, forgiveness, compassion and acceptance help heal and balance the heart chakra. Similarly lying, gossiping, criticizing, and suppressing one’s emotions leads to an imbalance of the throat chakra which manifests as disease in organs and tissues in the throat region such as the larynx and the thyroid. Healthy thoughts are indispensible to a healthy mind and body. Whether one is seeking treatment, through western medicine or through holistic techniques like reiki, yoga, pranayam, homeopath, and ayurveda, trying to consciously cultivate positive thinking will help one work harmoniously with their treatment and help them heal faster. The quality of the life one lives and the quality of health one has are all a result of thoughts because everything we do or say has its origin in thought. You find yourself engaged in destructive internal chatter and tend to replay negative events from your past or play out negative imaginary events and conversations with people. You tend to be suspicious of the motives of people and suspect that there is a hidden agenda behind everything people say or do. You have a tendency of focusing only on the negative aspects of people and are into fault finding, whether real or imaginary. You find it hard to focus on the positive aspects of people and are always criticizing them, for their mannerisms, their looks, their clothes, their choices and decisions. You make snide personal attacks on people under the guise of being funny and then evade consequences by stating that you were just joking. When you share a personal story with someone with the intention of easing your sorrow and finding some respite it is not gossiping, but when you take pleasure in recycling a story over and over again and embellishing it by magnifying negative aspects of the story and playing down the positive ones, in order to justify your position, that qualifies as gossip. While gossiping might provide you a temporary outlet to vent and also give you some momentary sense of satisfaction, it actually stirs up more negative emotions, and leaves you feeling worse than before. If you absolutely must gossip, then gossip about something good. You see danger in even simple day to day mundane activities and tend to play out events in your mind by imagining the worst possible scenarios and outcomes. Attitude: The mental attitude with which you begin your day is a good indicator of how the rest of your day would go. Take a mental note of your attitude and feelings when you wake up in the morning. What is the quality of the thoughts that run through your mind? Is it one of anger, self pity and unhappiness or one of gratitude, contentment and hope? Does your mind feel agitated or does it feel calm? Are you dreading the day or looking forward to it? Once you have answered these questions for yourself, you will realize that it is actually your own attitude that determines the course of your day and not the people and circumstances surrounding you. It is very important to remember that the first 5-10 minutes of every morning are crucial in establishing that positive frame of mind. So do a ‘thought quality check’ and smile first thing in the morning. Analysis:Analyze your thoughts closely. Every time a negative thought comes into your mind, ask yourself if it is real or imaginary; whether it is based on fact or assumption. Toss out all thoughts that have no factual basis. If a thought is based on fact, ask yourself if it is toxic or healthy. If it is toxic don’t fuel it. Remind yourself that this thought contributes nothing towards your good health and happiness and then let it go. Counter negative thoughts, words and actions:According to Patanjali- “Improper thoughts and actions of violence done directly or indirectly and which are caused by anger, delusion or greed, in any degree whatsoever always result in unending pain and misery.” When the mind is disturbed by improper thoughts or emotions, one can help restore the peace of mind by contemplating on the opposite thought or emotion.” So one would counter the emotions of hatred with love, anger with peace, vice with indifference and misery with compassion. Try to put yourself into the practice of using only positive words. Replace negative words, with positive ones. Using negative and harsh words will only add to your already agitated state of mind and leave you depleted. Think before you speak. In a nutshell, if you have nothing good to say, don’t say it. If a negative thought arises, do not fuel it. Don’t criticize or judge anyone, including your self. Be responsible for the energy you bring into a space. Remember, when you wish good for someone from the bottom of your heart it has a positive effect on you and when you project hatred and jealousy it only returns to you with greater force. Live in the moment: By no means should this be misconstrued as an excuse to adopt an irresponsible, overindulgent or unhealthy lifestyle. The key message here is to learn to enjoy life in the moment without mentally spacing out. Almost all of us are guilty of living our lives in the past or in the future. Dwelling in the past only brings anger and disappointment and worrying about the future only brings anxiety. Learn to develop awareness in everything you do, instead of doing it mechanically. If you ever notice yourself feeling agitated, or if you feel a tense moment coming up, bring your attention immediately to your breath and any tense spots in your body. Breathing tends to become shallow during stressful moments. Most of the tension tends to reside in the third eye region, the throat, jaws, the solar plexus, and inner thighs. Immediately revert to the slow relaxed deep breathing while keeping your focus on your inhalation and exhalation. Completely relax your body. Succumb to gravity. Slow down your daily pace. Your breath, mind and body are like cog wheels. What happens to one affects the other two. A gentle breath equates to a calm mind, which equates to gentle words and actions and vice versa. Similarly, an agitated breath equates to an agitated mind, which equates to harsh words and regrettable actions. Our breath operates only in the present moment; not in the past and not in the future. Hence focusing on one’s breath can help steer the mind back to the present. As simple as it sounds, this will of course require skill and sincere practice of awareness and implementation. Resolve past issues:Suppression of emotions and not speaking up leads to resentment. Repressed emotions tend to resurface sooner or later when an event triggers the memory. If possible it is best to resolve past issues in a civil manner with the people involved. If too much is at stake and this is not an option then writing about it in a journal can prove highly cathartic. Writing will purge your mind of the burden of carrying these thoughts with you everyday. Express Gratitude: Learn to practice gratitude in everyday life. There are two ways of doing this-being grateful for all the wonderful things you have and being grateful for all the pain and suffering that you do not have. Think of all the problems people around you have, that you don’t. Ask yourself if you would be willing to trade places with someone and take on their pain and suffering in exchange for yours. Seek Positivity:Surround yourself with positive people. Read books and articles that promote positivity and inspire you to stay positive. Don’t take seriously anything that negative people say to you as they only speak from their own insecurities. People generally say things to pull you down in order to level the playing field for themselves. Don’t place your happiness in the hands of such callous people. Learn how to be indifferent to comments from such people or better yet try to avoid the company of negative minds. If you happen to find yourself in the presence of someone who spews negativity, don’t automatically accede to them out of fear of losing their friendship. Instead try to be the voice of reason and tactfully deflect the negativity by guiding them along a more positive thought process without being dismissive or insensitive. Give your mind a purpose:Follow a hobby, or do something you loved to do as a child. Pursue something you have always passionately desired to do, but kept putting off because life got in the way. This will give your mind a purpose and keep it from straying to negative thoughts. Meditate: The three gunas –sattva, rajas and tamas are present in all human beings in varying degrees and are the reason for the diversity we see in everyone. A predominance of rajasic guna gives rise to ambition, restlessness, anxiety, passion, anger, greed, jealousy and selfishness. A predominance of tamsic guna manifests as ignorance and sloth. Meditation increases the sattva guna or the pure and virtuous quality of the mind. A predominance of sattva guna gives rise to wisdom and knowledge and promotes spiritual evolution. Meditation helps purify the mind and promotes deep relaxation, peace, tranquility, good health, and happiness. Meditation undoubtedly by itself has the power to establish a positive frame of mind in the most effortless manner. Excellent & thought provoking article by shri. mehtaji. I’m in my early twenties and is aware of the facts-right or wrong(morally/ ethically). I have tried many times to be on the right path,but unfortunately because of the envmyself nts( family,society and television) my attitude was impacted.Where I could realise from inside that I am wrong but was not able to put an end to the actions. After quite time I found myself settled with my deeds and started realising about my mistakes and want to start with new phase.But, then the past haunted me and restricted myself only with regrets. Now, after lots of friends support and so called introspection, I could stable myself. And even your article on positive thoughts have boosted me. However, still i’m afraid whether I will be clouded by my past which can restrict me to the past and no where else. Please guide me for a positive change. Wonderful article. I believe it all comes down to the mind when it comes to overcoming negative emotion and thoughts. After all, us ourselves really know what we feel and what we want to do when faced with struggles in life. There are tips and techniques, what we need is the aim and goal to overcome these negative thoughts in our minds. You are what you think, just like what is written in this article. I hope to read ore from this site. Pooja you can reach through my website listed. Or do a search key words Yachna Yoga. You can contact me through there via a contact form. Hope that helps. Hello your article is really wonderful i have entered into a vicious cirlcle where negative thoughts . Depression anger feeling of helplessness and suspicion has surrounded me . I really want to come out of it can u pls giive me your no so that i could talk to you .it would be a great help. I realty don’t know how to thank you for this wonderful article, I read it with my heart and I was in need of this article very badly.God bless you Anmol Mehta ji. excellent article, worth Practising. Thanks Yachana. Wonderfully inspiring, I believe the laws of the universe to be constant, we and our surroundings are ever changing. We are in different stages of enlightenment so the mantra or truth most be repeated to reach us all. Bravo!